Posted in Japan, Judo, Other Olympics and tagged 1984 Los Angeles Olympics, Jigoro Kano, Mohamed Ali Rashwan, NBC, Yasuhiro Yamashita. Bookmark the permalink. Roy, I am a traditionalist like Yamashita! I agree with all he said. I fully understand his joy. At the world championships in 1965, I had to change my stance from right to left to protect a fully distroyed right knee! I told no one about the sever knee injury which occurred just prior to leaving for Sao Paulo, Brazil. I wrapped the knee with a cut bike inner tube as we did in Japan using it as an “Ace Bandage” and a splint. My left foot was forward and I maintained a right grip! I threw, Ross of England, Snyders of Holland, and Grossaine of France for full points! I lost to a Japanese competitor whose name escapes me now and Okano won the gold. I bowed off the mat, stoic and composed while in excruciating pain and never said a word to anyone that day. In side I was yelling and screaming and jumping up and down with relief and joy. 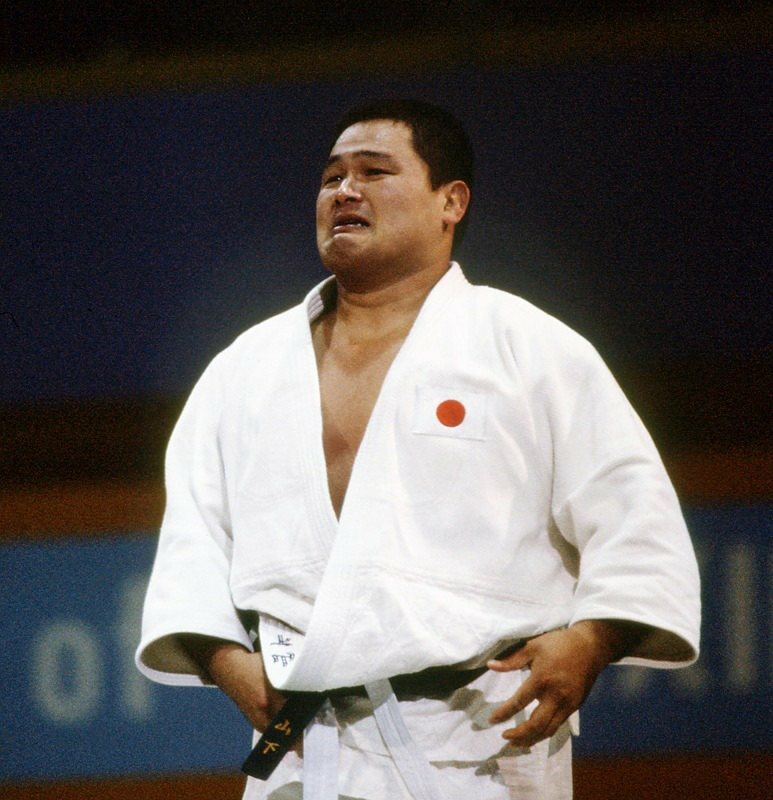 I had thrown for full point three of the most accomplished judoka aside from Okano and the other Japanese competitor in the world! Three perfect IPPON! Bronze Medal in the World Championships on one leg! Crazy! Come home to knee surgery. And that was the end of my judo competitive career. Wonderful story Jim! Thank you so much for sharing.